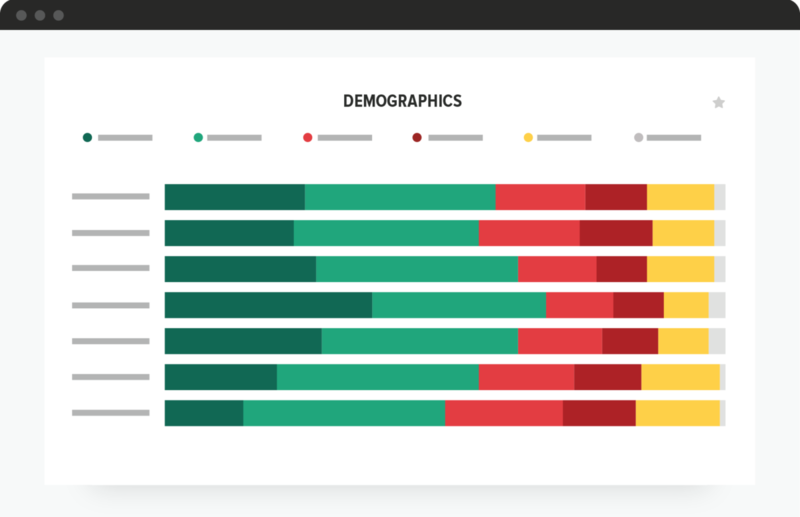 Brand Intelligence is the most comprehensive brand management platform today, collecting survey research data from 12 countries to analyze alongside social media, news, and economic data to guide every strategic decision your organization needs to make. 4,170,261 survey research interviews on 3,595 brands across 12 countries. Select a solution below to learn more. Immediately evaluate the magnitude and impact of a crisis for your brand, and measure the effectiveness of your brand’s response. 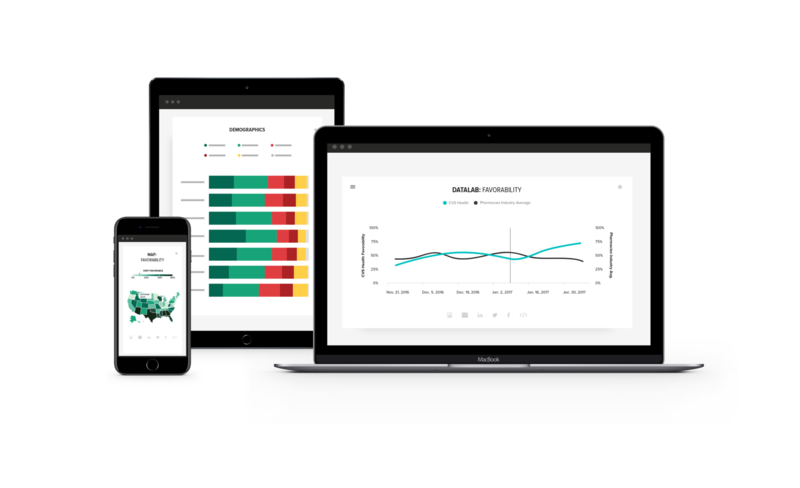 Track brand perception and performance in real time with customizable, automated reports straight to your inbox. Guide strategic decisions about sales, partnerships, and beyond with survey research data about your competitors, consumers, and the market at large. A 360-degree view of your brand, in one screen. Every day. Click below to learn about our full suite of capabilities in one, user-friendly platform. 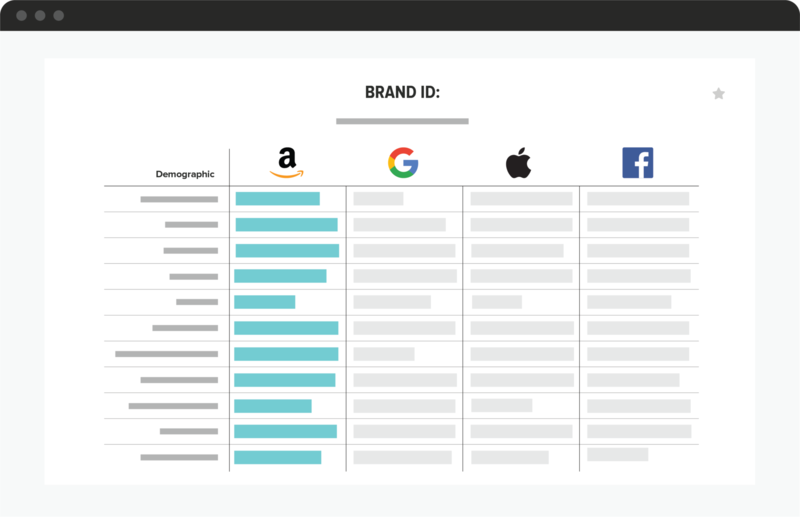 Brand Intelligence conducts survey research at scale to identify key targets across 100+ demographics, profiles, and custom segments. 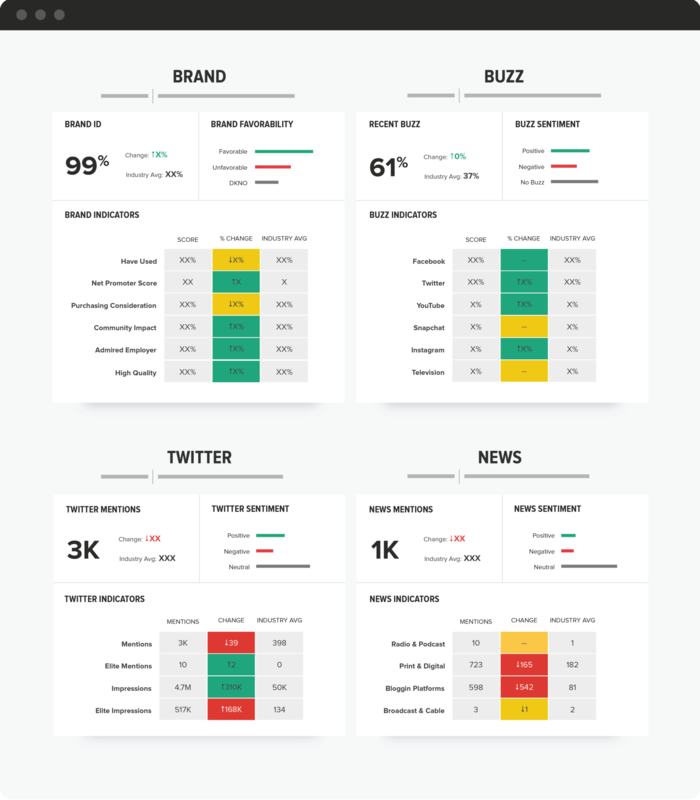 Through daily brand tracking, Brand Intelligence gives companies the ability to monitor their brand in times of crisis, through a major campaign, and other key moments. 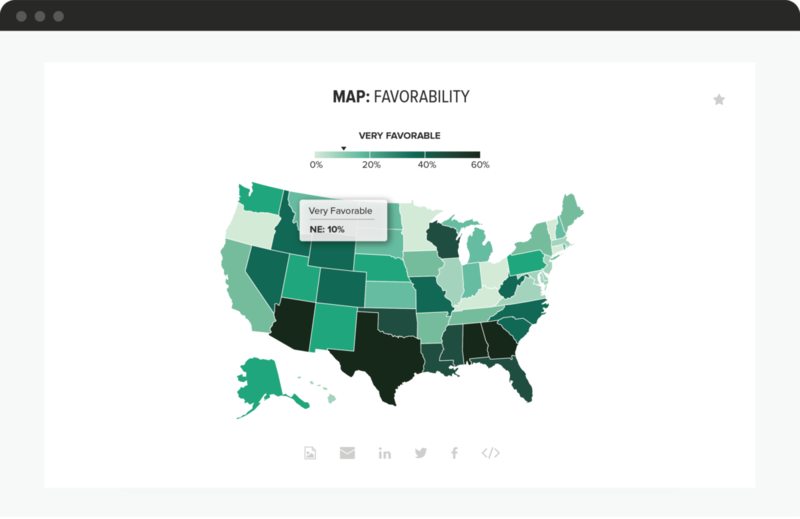 With data tracked down to the ZIP code, Brand Intelligence helps brands understand how they perform at national, state, DMA, and ZIP code levels. 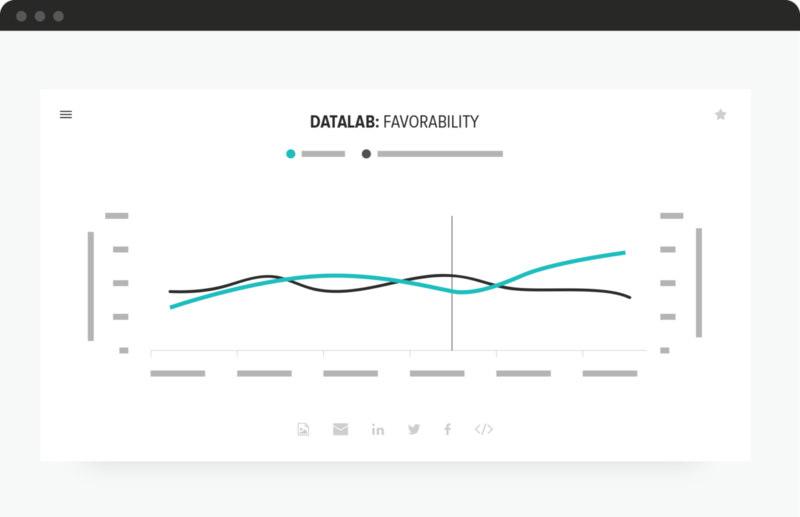 Brand Intelligence allows users to compare a brand’s performance against top competitors across survey research, economic, social media, and news media metrics. 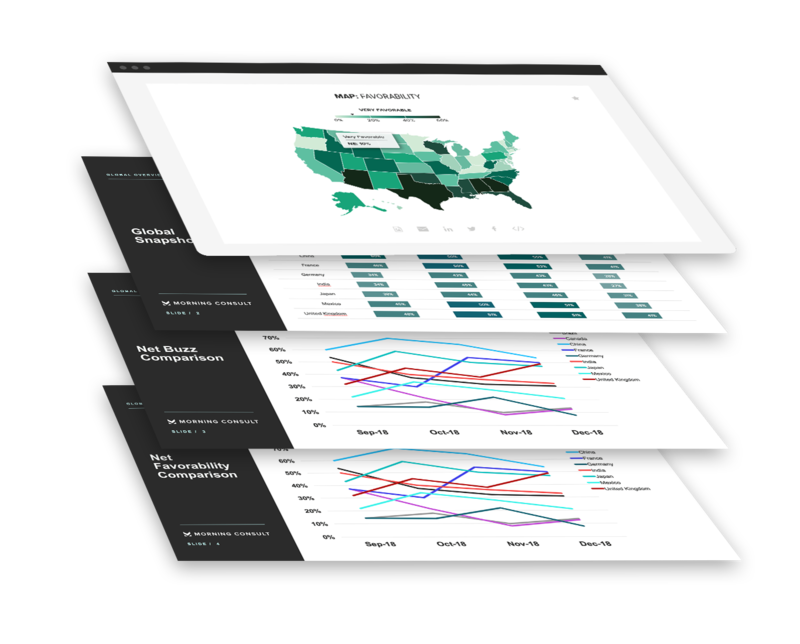 With built-in tools, users can instantly create, download, and email customized reports for key stakeholders to easily digest the data and trends. This kind of real-time brand tracking has become a necessity. Lead the future of brand management.